This chapter deals with modeling and control of underwater robots. First, a brief introduction showing the constantly expanding role of marine robotics in oceanic engineering is given; this section also contains some historical backgrounds. Most of the following sections strongly overlap with the corresponding chapters presented in this handbook; hence, to avoid useless repetitions, only those aspects peculiar to the underwater environment are discussed, assuming that the reader is already familiar with concepts such as fault detection systems when discussing the corresponding underwater implementation. Themodeling section is presented by focusing on a coefficient-based approach capturing the most relevant underwater dynamic effects. Two sections dealing with the description of the sensor and the actuating systems are then given. Autonomous underwater vehicles require the implementation of mission control system as well as guidance and control algorithms. Underwater localization is also discussed. Underwater manipulation is then briefly approached. Fault detection and fault tolerance, together with the coordination control of multiple underwater vehicles, conclude the theoretical part of the chapter. Two final sections, reporting some successful applications and discussing future perspectives, conclude the chapter. The reader is referred to Chap. 25 for the design issues. Date: May 31, 2009. 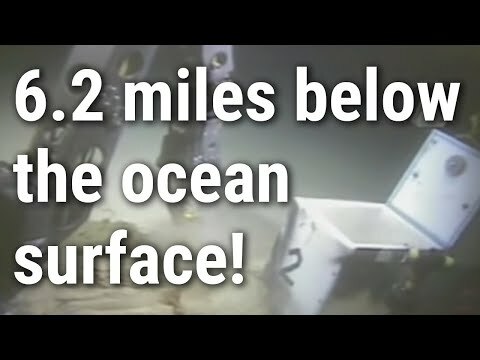 Depth: 10,006 meters (6.2 miles). A WHOI-led team successfully brought the newly-built hybrid remotely operated vehicle (HROV) Nereus to the deepest part of the world's ocean, the Challenger Deep in the Pacific Ocean. The dive makes the unmanned Nereus the world's deepest-diving vehicle and the first vehicle to explore the Mariana Trench since 1998. To learn more visit http://www.whoi.edu/page.do?pid=33775. Over the last two decades, the foundations for physical human–robot interaction (pHRI) have evolved from successful developments in mechatronics, control, and planning, leading toward safer lightweight robot designs and interaction control schemes that advance beyond the current capacities of existing high-payload and highprecision position-controlled industrial robots. Based on their ability to sense physical interaction, render compliant behavior along the robot structure, plan motions that respect human preferences, and generate interaction plans for collaboration and coaction with humans, these novel robots have opened up novel and unforeseen application domains, and have advanced the field of human safety in robotics. This chapter gives an overview on the state of the art in pHRI as of the date of publication. First, the advances in human safety are outlined, addressing topics in human injury analysis in robotics and safety standards for pHRI. Then, the foundations of human-friendly robot design, including the development of lightweight and intrinsically flexible force/torque-controlled machines together with the required perception abilities for interaction are introduced. Subsequently, motionplanning techniques for human environments, including the domains of biomechanically safe, risk-metric-based, human-aware planning are covered. Finally, the rather recent problem of interaction planning is summarized, including the issues of collaborative action planning, the definition of the interaction planning problem, and an introduction to robot reflexes and reactive control architecture for pHRI. This video shows some of the runs by the Soldier Creek Elementary School participating in a Norman Oklahoma Challenge event of the Junior Botball Challenge (http://www.juniorbotballchallenge.org) in March 2014. 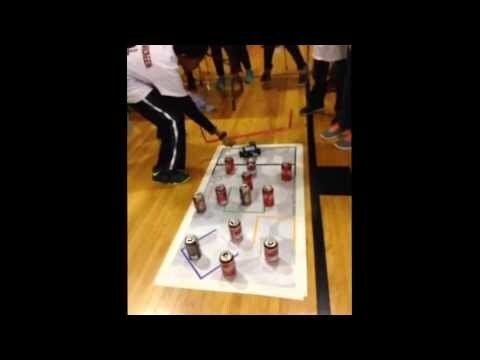 These elementary-school students wrote their own C code to guide their robots around the can obstacle and to maneuver their robot to push a large number of cans into the starting box. The growth of medical robotics since the mid- 1980s has been striking. From a few initial efforts in stereotactic brain surgery, orthopaedics, endoscopic surgery, microsurgery, and other areas, the field has expanded to include commercially marketed, clinically deployed systems, and a robust and exponentially expanding research community. This chapter will discuss some major themes and illustrate them with examples from current and past research. Further reading providing a more comprehensive review of this rapidly expanding field is suggested in Sect. 63.4. 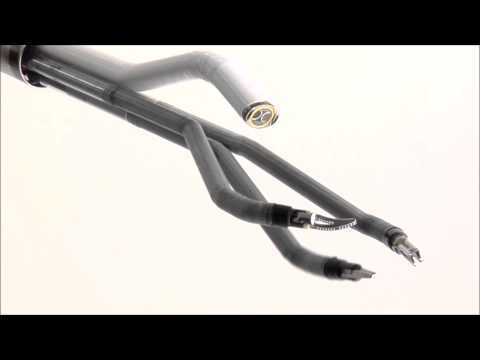 Medical robotsmay be classified in many ways: by manipulator design (e.g., kinematics, actuation); by level of autonomy (e.g., preprogrammed versus teleoperation versus constrained cooperative control), by targeted anatomy or technique (e.g., cardiac, intravascular, percutaneous, laparoscopic, microsurgical); or intended operating environment (e.g., in-scanner, conventional operating room). In this chapter, we have chosen to focus on the role of medical robots within the context of larger computer-integrated systems including presurgical planning, intraoperative execution, and postoperative assessment and follow-up. First, we introduce basic concepts of computerintegrated surgery, discuss critical factors affecting the eventual deployment and acceptance of medical robots, and introduce the basic system paradigms of surgical computer-assisted planning, execution, monitoring, and assessment (surgical CAD/CAM) and surgical assistance. In subsequent sections, we provide an overview of the technology ofmedical robot systems and discuss examples of our basic system paradigms, with brief additional discussion topics of remote telesurgery and robotic surgical simulators. We conclude with some thoughts on future research directions and provide suggested further reading. The movie shows a single-port version of the Da Vinci robot, with several flexible tools all passing through the same access tube. A key research challenge in robotics is to design robotic systems with the cognitive capabilities necessary to support human–robot interaction. These systems will need to have appropriate representations of the world; the task at hand; the capabilities, expectations, and actions of their human counterparts; and how their own actions might affect the world, their task, and their human partners. Cognitive human–robot interaction is a research area that considers human(s), robot(s), and their joint actions as a cognitive system and seeks to create models, algorithms, and design guidelines to enable the design of such systems. Core research activities in this area include the development of representations and actions that allow robots to participate in joint activities with people; a deeper understanding of human expectations and cognitive responses to robot actions; and, models of joint activity for human–robot interaction. This chapter surveys these research activities by drawing on research questions and advances from a wide range of fields including computer science, cognitive science, linguistics, and robotics. Programming new skills on a robot should take minimal time and effort. 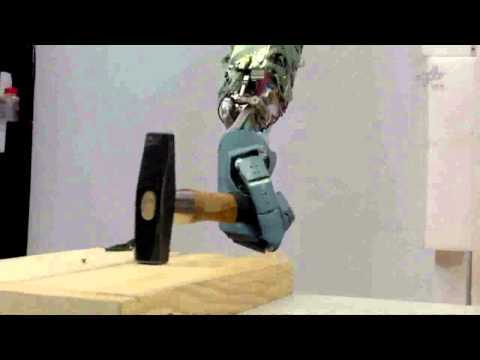 One approach to achieve this goal is to allow the robot to ask questions. This idea, called active learning, has recently caught a lot of attention in the robotics community. 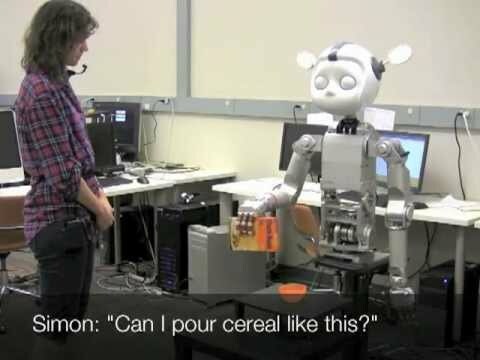 However, it has not been explored from a human-robot interaction perspective. We identify three types of questions (label, demonstration, and feature queries) and discuss how a robot can use these while learning new skills. Then, we present an experiment on human question-asking which characterizes the extent to which humans use these question types. Finally, we evaluate the three types of question within a human-robot teaching interaction. We investigate the ease with which different types of questions are answered and whether or not there is a general preference of one type of question over another. Based on our findings from both experiments, we provide guidelines for designing question-asking behaviors for a robot learner. Robotics for agriculture and forestry (A&F) represents the ultimate application of one of our society’s latest and most advanced innovations to its most ancient and important industries. Over the course of history, mechanization and automation increased crop output several orders of magnitude, enabling a geometric growth in population and an increase in quality of life across the globe. Rapid population growth and rising incomes in developing countries, however, require ever larger amounts of A&F output. This chapter addresses robotics for A&F in the form of case studies where robotics is being successfully applied to solve well-identified problems. With respect to plant crops, the focus is on the in-field or in-farm tasks necessary to guarantee a quality crop and, generally speaking, end at harvest time. In the livestock domain, the focus is on breeding and nurturing, exploiting, harvesting, and slaughtering and processing. The chapter is organized in four main sections. The first one explains the scope, in particular, what aspects of robotics for A&F are dealt with in the chapter. The second one discusses the challenges and opportunities associated with the application of robotics to A&F. The third section is the core of the chapter, presenting twenty case studies that showcase (mostly) mature applications of robotics in various agricultural and forestry domains. The case studies are not meant to be comprehensive but instead to give the reader a general overview of how robotics has been applied to A&F in the last 10 years. The fourth section concludes the chapter with a discussion on specific improvements to current technology and paths to commercialization. The John Deere R Gator is an unmanned ground vehicle capable of operating in urban and off-road terrain with a large payload capacity to carry supplies or a marsupial robot. The R Gator can operate in teleoperation mode, waypoint navigation, direction drive, and path playback. The perception system on the vehicle is able to detect both positive and negative (holes) obstacles in off-road terrain and is capable of driving through tall vegetation while maintaining safety. The remote operator is able to send commands to the R Gator wirelessly, through an intuitive, video game-style, wearable interface, and can see video and telematics from the R Gator in a heads-up display. This video shows the R Gator performing various missions in off-road terrain in a surrogate agricultural environment. Screen shots from the operator display are shown, including an overhead map with waypoint path visible, video views available to the operator, and telematics. The video also shows the R Gator detecting and avoiding fence posts and a negative obstacle, both of which are quite common in orchards.